APEX pro gaming a.s. – APEX pro gaming is a global gaming manufacturer and operator. This powerful 4 level Jackpot link game is designed and developed with the latest and most advanced technologies. Croupiers can exchange cash and ticket for chips directly at table. Cash-out done at table – amount is paid back in ticket format. Latest technology ensures complete security on banknote and ticket validation. Simple to integrate on the SAS system. Proves complete, immediate feedback on drop of each iDROP. Patented and proven Pinnacle gaming machines – available as upright with 24” monitors or as slant-top Pinnacle SL with 27” monitors. Very latest technology including wide-screen high definition monitors, unbeatable sound and colourful LED lighting. EVO platform – enjoy gaming in unbelievably pin-sharp graphics. Fantastic games selection including table and 3D games. 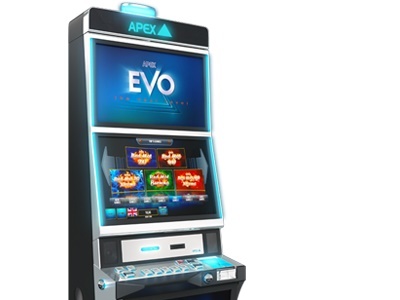 The VIP PREMIUM LOUNGE represents the top-of-the-range slot machine from APEX gaming. Therefore, VIP gaming and Premium gaming players need to look no further than the VIP Premium Lounge from APEX gaming. 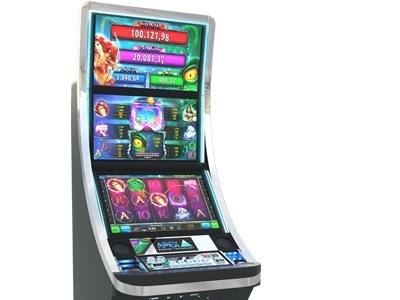 This exquisite slot machine from the Pinnacle family is the perfect solution for players who are looking for something extra. Complete flexibility – you choose how many terminals to place around how many electronic roulette wheels. Bacarrat, Sic-Bo and our very own Bingo game available as standard. Games can be linked to Pinnacle or APEX Mobile tablet – allowing maximum usage in peak times. The PINNACLE PREMIUM CURVED was officially introduced to the global gaming market at the ICE in February 2017. 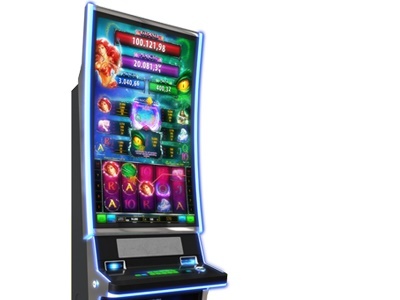 It takes the slots world to the next level with its ultra-modern design. Equipped with a 43” curved screen, the APEX games stand out even more strongly. 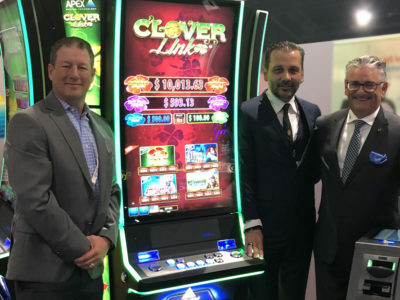 The PINNACLE PREMIUM SL was officially introduced to the global gaming market at the ICE in February 2017. 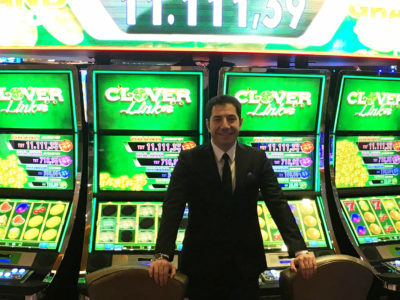 It takes the slots world to the next level with its ultra-modern design. Equipped with three 27” screens, the APEX games stand out even more strongly. This upright gaming machine offers the best of gaming. The Pinnacle is the result of detailed market research and product development. Exquisite design attracts players. Technological innovation keeps the Pinnacle at the players interests. APEX gaming has a great amount of experience in taking gaming to the next level with local and wide area jackpots – both as multiple mystery jackpots. 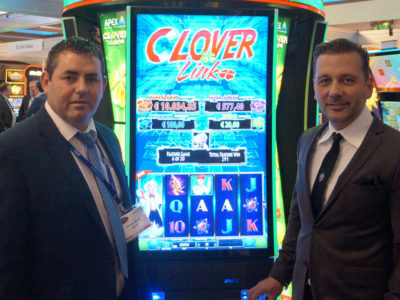 The APEX CASINO MANAGEMENT SYSTEM gives operators full visibility on their slot machines on the gaming floor. It provides for an entire range of statistics of each slot machine. Online monitoring and control is available at a touch of a button alongside a full range of statistics. With the quick progression in tablet technology (e.g. iPads), APEX gaming believes that the online gaming future lies in mobile gaming. This marketing research has paid off in a great entertaining app that offers five exciting APEX games. Choose your favourite game from Legend of the Sphinx, American Hot Slot, Red Hot Fruits, Ocean Tale and Sealed with a Kiss. These are free games.